As an amateur cricketer I’ve encountered a number of injuries over the years the majority of which are due to my lack of ability as a fielder. This has on occasions had a detrimental impact on the social side of the game – the injuries that is, not my fielding failures! Due to the nature of the game of cricket the wrists, hands and fingers are particularly vulnerable to injury with the most common being fractures, dislocations, bruising and ligament sprains. In addition, cricketers are also prone to conditions such as tennis elbow. In the first instance any fractures or dislocations will require hospital assessment and treatment and from experience, I can assure you that breaking your finger can be very painful. Depending on the severity of the fracture/dislocation a number of treatments are possible. Simple, less complex injuries will be splinted for a period of time whereas more complex injuries could require surgical intervention. Following either of these routes to treat the injury, you will be left with stiff and sore joints with reduction in the range of movement and potentially some loss of strength due to the period of inactivity. In this instance physiotherapy can help to restore the normal movement and strength. Injuries such as bruising or strains to ligaments can initially be treated using the RICE (rest, ice, compression, elevation) principle to reduce the inflammatory response from the body. All these speed up the healing process and get you back out playing cricket as soon as possible and keep you out of the bar. In addition, tennis elbow can be treated in the same way whilst also investigating the root cause of the problem including looking at equipment and technique if required. Kevin qualified as a physiotherapist in 2014. He started at Physiofusion in 2015, primarily treating from Burnley and Padiham clinics. He is a keen cricketer and plays for Padiham Cricket Club. From the first initial contact through to all visits I have nothing but praise. The staff are friendly and professional and make you feel secure and safe in their hands (literally) I would recommend to anyone. Really happy with the physio sessions and the overall quality of care given. A very professional business with that special personal touch. Overall service and treatment is excellent. All staff are extremely helpful and friendly and go out of their way to assist/ offer advice. Kayleigh is friendly and professional. Her treatment has been tremendously helpful and I have found her far more effective than previous physiotherapists. I find the whole experience very friendly and positive, with good results from the treatment. Keep up the good work. The superb staff, facilities and treatment could servce as a benchmark of excellence. Staff strike the right balance between friendly & professional. The most thorough assessment, treatment and explanation I have ever had - highly recommend. The advice and positive outlook from my Physiotherapists significantly improved my rehabilitation. Liz has managed to sort my back issue and improved it far better than it was before my episode flared up. I seriously can't thank them enough… healing hands! Excellent staff. Really explained things well and have helped me with my back and shoulder pain. Would highly recommend. Very helpful and lovely staff. Very pleased with results and would advise anybody to undergo the acupuncture. It's amazing and relaxing. Went to the Bolton clinic to try and sort my back out that's in bits from my pregnancy. 2 sessions of acupuncture with Karen seems to have done wonders. Although not perfect it is soooo much better so thanks!!! Excellent care. Liz is a god send. Lovely, caring and brill at her job. All staff helpful phoning for advice etc. I have had two years of therapy before coming for chiropody treatment and have always found the practitioner and receptionist friendly and helpful. I have received explanations I've had treatment for and successful outcomes in each case. Friendly staff with a relaxing environment. My treatment was a complete success. Found the correct treatment for a long term problem. I have a lot of confidence in Liz. All round brilliant service. I can't recommend enough, thanks so much Physiofusion. Karen has cured a problem I have had that a Physio elsewhere failed to. She is incredibly friendly and I highly recommend her. Kate is very good at her job, explains why and what she is doing. 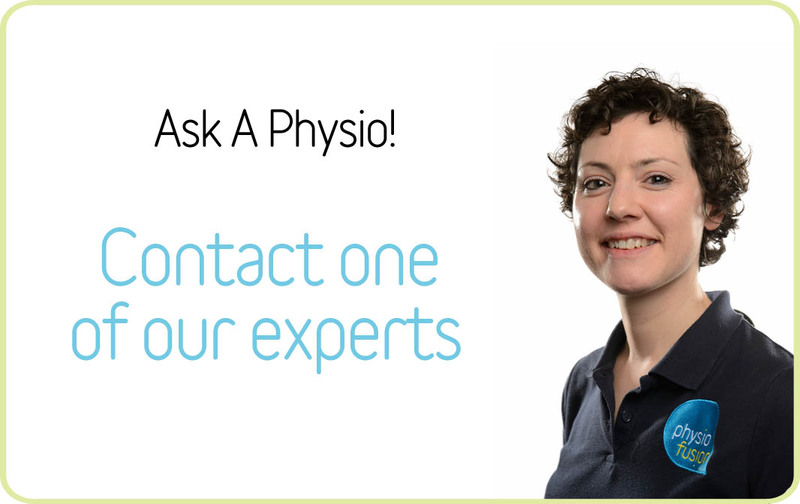 The questions I ask are always answered in a way I understand, she is a credit to Physiofusion. I had physio here before with good result, hence I have returned for repeat treatment for a different problem. The treatment has been effective and my injury has improved significantly. Kate is very infomative and has a friendly manner. Staff always cheerful and friendly and happy to help, great to see positive faces - this has had a positive effect on the treatment I received. I am always left feeling better thank when I came in and I feel Liz focuses on progression, not just managing the problem. From day one, genuine concern and care has been given. I felt in good hands. I have honestly never experienced better service ANYWHERE than I get at Physiofusion. Absolute first class. 10/10 would recommend. I am always made to feel welcome when I am here and I always leave feeling great!